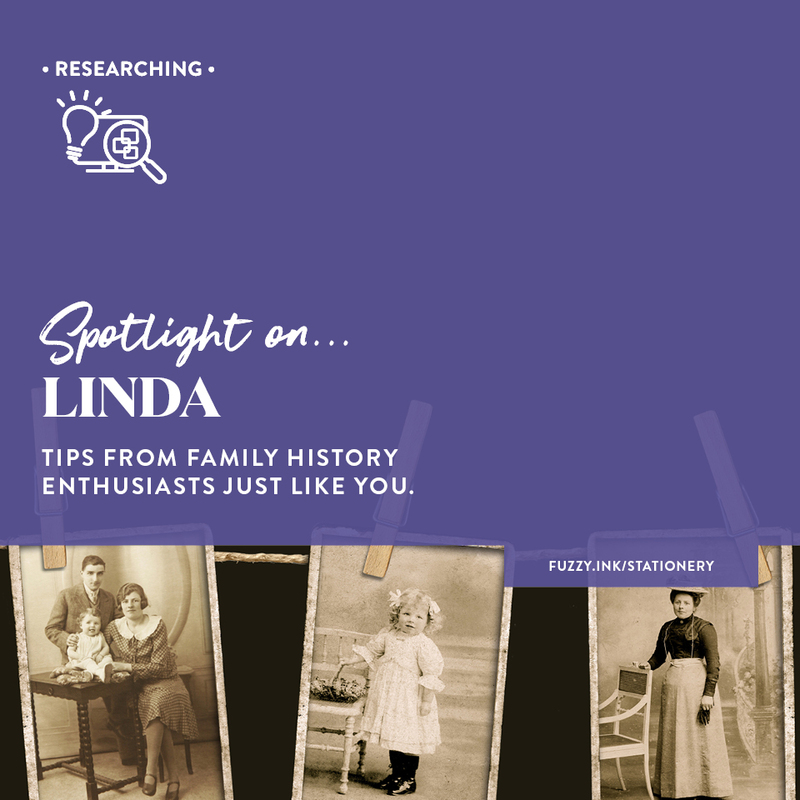 It’s advice that every family history enthusiast has said or heard, many times. But is it good advice or no longer applicable in our technology-filled world? Like all hobbies, you’ll never be more motivated than when you first start. Combine that motivation with a dash of curiosity, and it gives you the push to begin. So, do you want to waste that momentum on the one member of your family tree that you already know the best? Of course, you can achieve the same results researching any of your ancestors, but it’s a long and windy path. 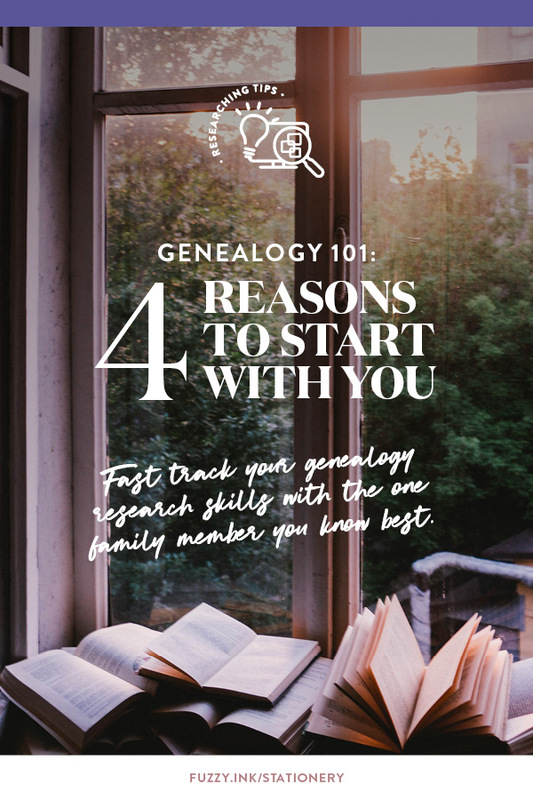 Because when you start with you, it’s a fast track to fine-tuning your genealogy research skills. Why? Let’s dive into that. When you know how the story turns out, it supports you to find out where it began. A common perception of a family tree is it starts with the ancestor at the top. Then you work down to add branches (family lines) and leaves (individuals). And that is the best way to display many of your discoveries, but it’s not the most efficient way to find them. Instead, you want to build a pyramid. First of all, you start with you to build the foundation. Next, you’ll begin adding ancestors one at a time. Each ancestor is a single brick, and each generation is another level taking you towards the top. And the top is, of course, the ancestor/s as far back as you can trace. The first step is to take a deep dive into your life and write down everything you know. 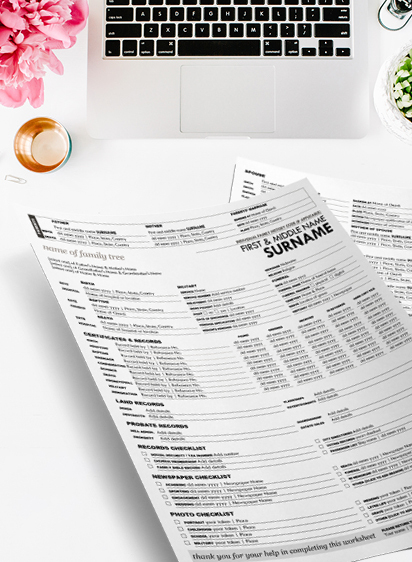 Start by filling out something like the Ultimate All-In-One Worksheet for yourself. Of course, you won’t have an answer for every field as somethings haven’t happened yet. You won’t only be gathering facts but also sharing stories, memories, and mementos. So you have to make the most of every conversation, and understanding the right questions to ask. Building the foundation of your pyramid is an opportunity to learn what some of those are. Creating a structure for your genealogy research will help you make discoveries faster. And make it easy to retrieve the details whenever you want. A quilter has a sewing kit, a painter has an art kit, and a family history enthusiast has a genealogy toolbox. It’s not something you buy but rather something you put together based on your needs as a researcher. Use free trials to test different genealogy software so you can find the one that suits you best. And look out for free weekends for subscription-based databases. Check with your local library as well as they may have a subscription available for public use. 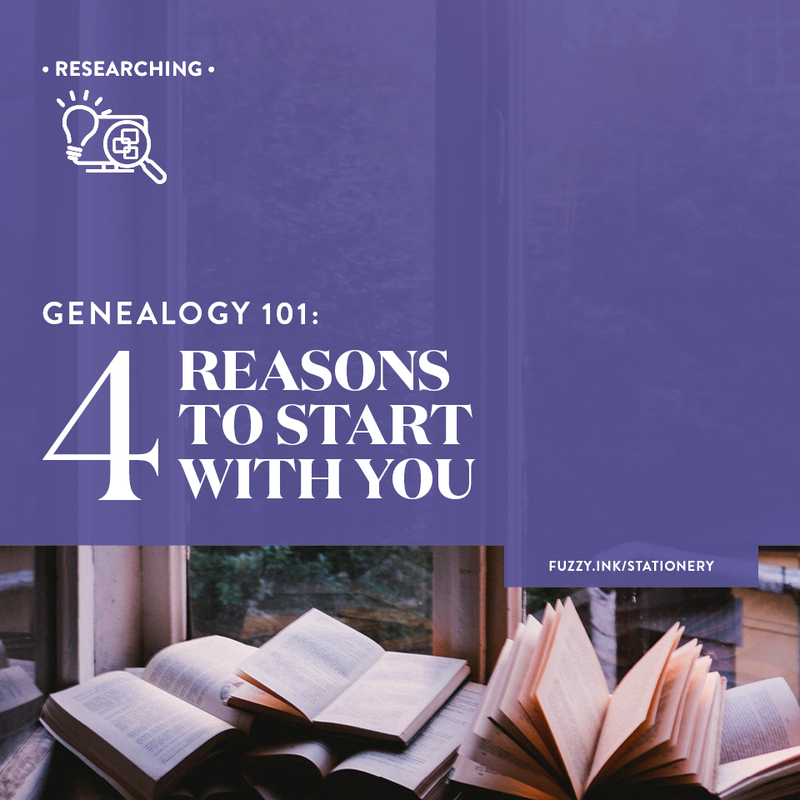 Start with you as you mean to go, and streamline your genealogy research processes. Create a file management system that makes it easy to save and retrieve your discoveries. You want it to make sense to you next week, next month as well as in ten years. For example, my folder structure is set up by the family line, with subfolders for each person. Subfolders names are YOB-YOD Firstname Surname. I write the date of record backwards, so the documents display in chronological order. So the date is ‘year month day’, all in numbers. For example, 10 August 1960 is 19600810. So I can search on the year, surname as well as the first name. A surname search on the primary folder will give me a list of all my ‘Dwyer’ records, in chronological order. Searching on the first name will give me records for every ‘Walter’ in the folder. 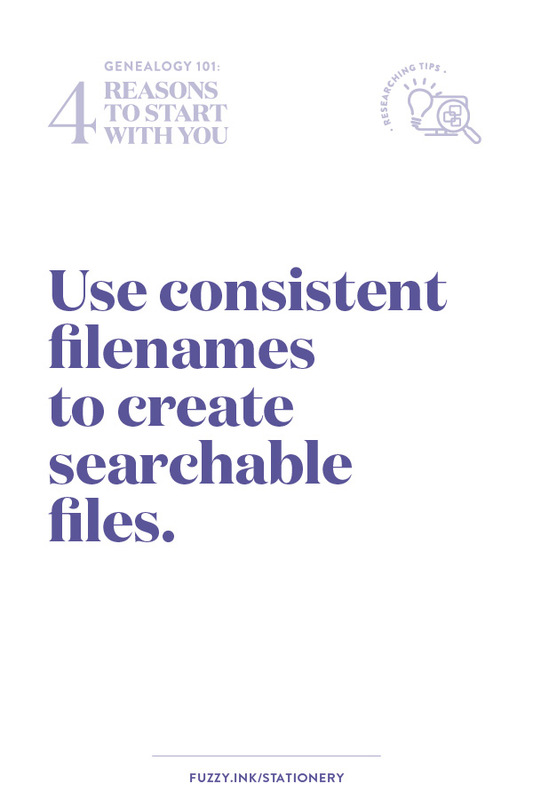 RECOMMENDED RESOURCE: Find out more about creating searchable files. Want to reduce wasted time and increase your chance of success? Start with you to develop a habit of using a research plan to find your ancestors. 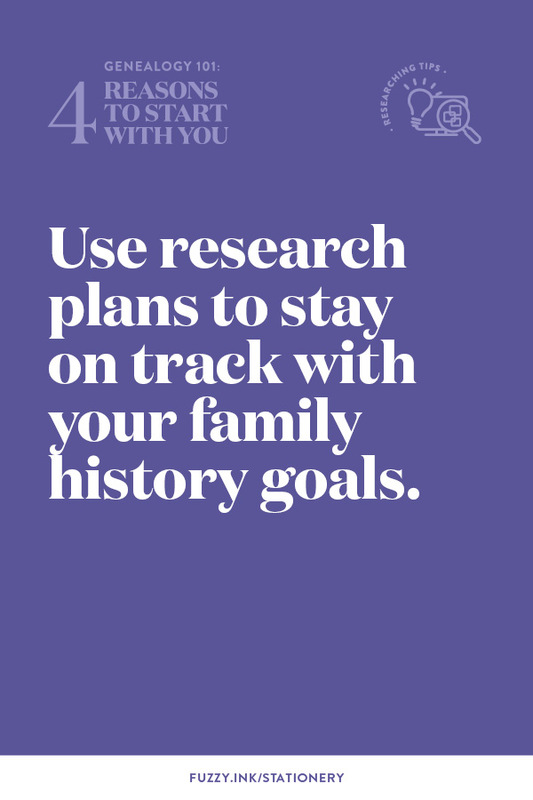 Research plans are a great way to stay on track with your family history goals. To keep you making discoveries, and not fall into genealogy rabbit holes. They’ll also help you decide where to spend your valuable research time, either online or on a field trip. A research plan is a list of questions and objectives that you want to achieve. You don’t need fancy software. It can be a spreadsheet, word processing document or text file. I use Google Sheets to create lists I can both search or filter. Then add your genealogy goals as actionable steps. Remember, it can take many steps to achieve some objectives, so break those down into several entries. Each step is one entry in your research plan. Also, consider creating a checklist of the database you use. So, researching becomes systematic, and you get the most out of the time available. Your ancestors are hiding in more places than BDM and military databases. Start with you to gain insight into the variety of records that can exist. After all, the family member you’ll have the most information about is you. By looking at where you can find information about you, you’ll get ideas of where you can search for your ancestor. Now, get inspired and create a checklist of records to start looking in for your ancestors! Practice makes perfect. Okay, that maybe not perfect but the more you do something, the better you will get at it. So, start with you to get a head start in improving your research skills. Practice extracting data and gauging accuracy from some of your records. Depending on the place of issue, you may also get an idea of height and eye colour. If there isn’t a photo, then your descendants would use that information to create a picture of you. Keep in mind that details are only as reliable as the person recording or supplying them. What is inaccurate or missing? Now try this with other documents and create a timeline and map of your life. Again, what is inaccurate or missing? Are there other places that this information might be (e.g. sibling or children records)? At the end of this exercise, you’ll have a good understanding of how errors can creep in, and that vital details may not be in records about you. Our sibling’s documentation can hold valuable information that fills in some of the missing gaps in our timeline. 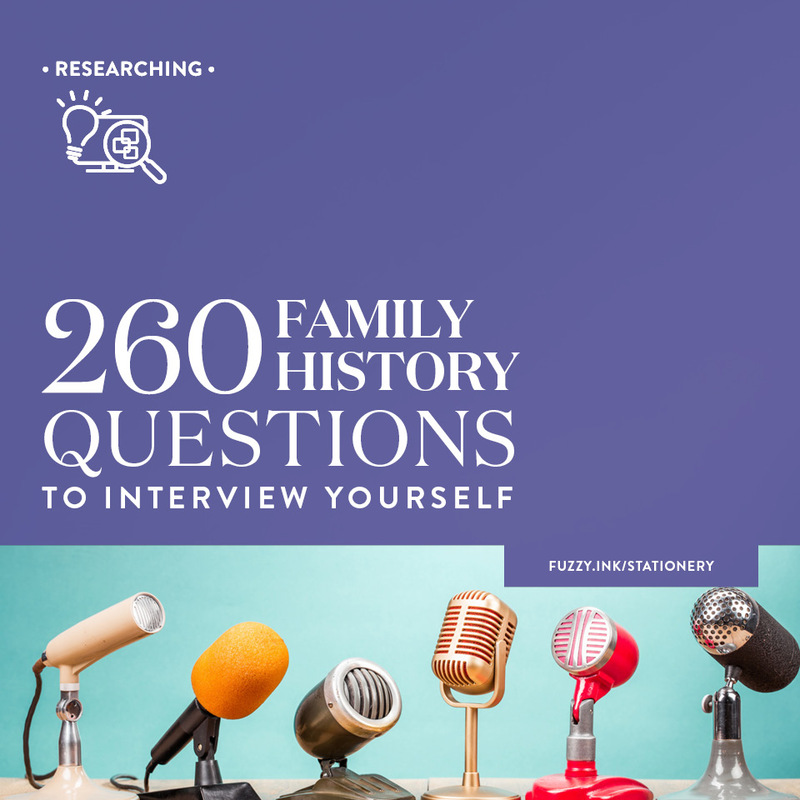 Fast track your genealogy research skills with the one family member you know best. Start with you to learn about the types of information available and where to find it. 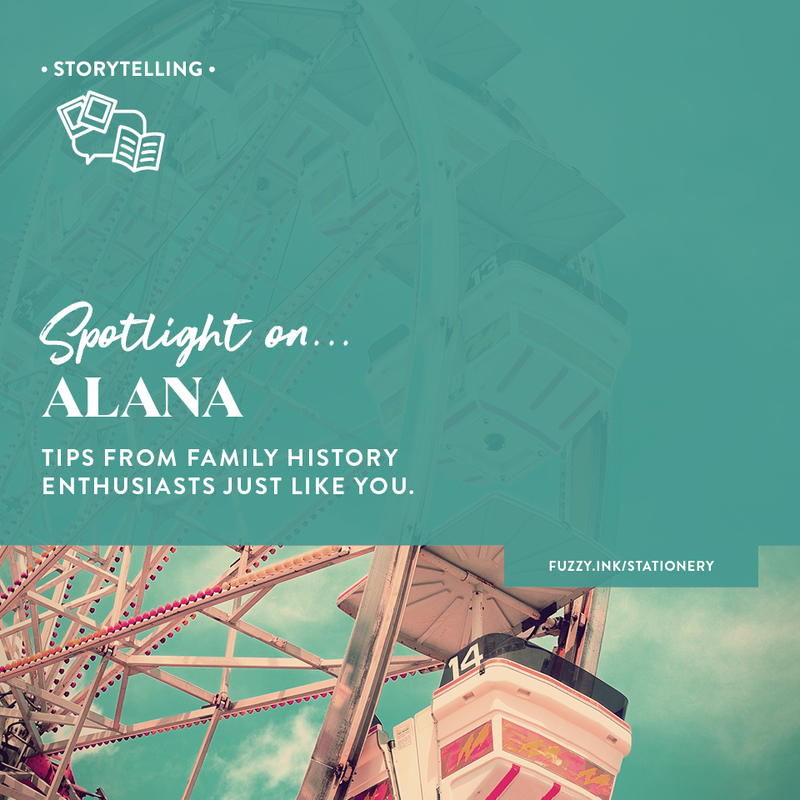 You’re not only creating a strong foundation for your family history but also starting to tell your story for the next generation. Have you completed the Ultimate All-In-One Worksheet for yourself, yet? What discoveries did you make seeing a snapshot of your life? So good to be reminded that it doesn’t have to be done in a day. Just a set time with a set goal gets rewards. Keeping a note of where I looked is so good as I am forever finding great stuff but don’t remember where and then I can’t find it again. The Rabbit hole is a brilliant analogy, so often I feel like Alice! Thank you.